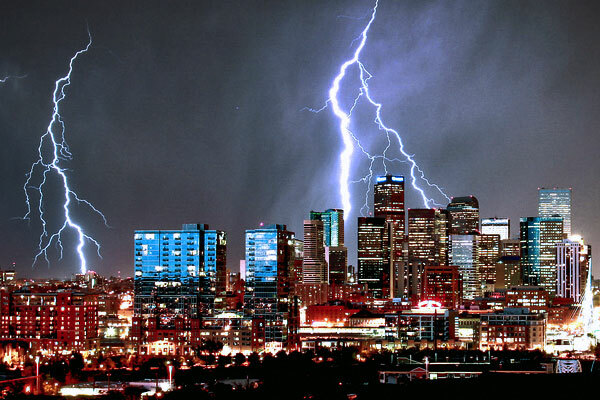 Denver was founded in 1858 as a mining settlement during the Pike’s Peak Gold Rush as Denver City. When Colorado became a U.S. state in 1876, Denver City’s name was shortened to Denver and it became the state capital. The city is located along the western edge of the High Plains and has a backdrop of the majestic Rocky Mountains to it’s west. Denver is called the Mile High City because its official elevation, as measured on the steps of the state capitol building, is exactly one-mile (5,280 ft or 1,610 m) above sea-level. In June, the jetstream typically begins a retreat to the northern latitudes and storm frequency increases along the High Plains. 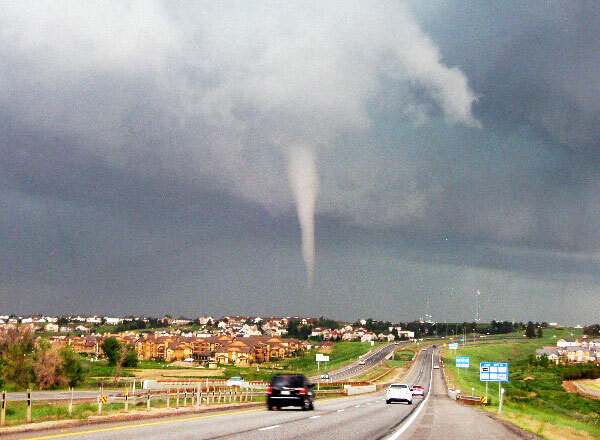 We chose Denver as the base city for our June storm chasing tours because it is situated along the western ridge of the High Plains and has a world-class airport. Unlike our May base city, Oklahoma City, Denver’s airport is located quite a ways from the city center and the area’s attractions. Thus, if you arrive in Denver early or stay late for your tour, you’ll likely need to rent a car in order to enjoy your time in one of the most beautiful areas of the United States. 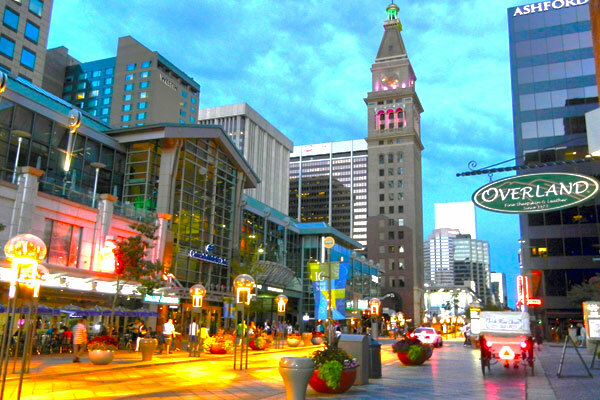 For those who do not wish to rent a car, but still want to find lots of enjoyable restaurants, we recommend taking a taxi from your hotel to Denver’s 16th Street Mall. There you’ll find great places to shop and eat all located down several city blocks and there is even a trolley to get around on. Denver has a great downtown area full of amazing restaurants and museums, but before we get into that, let’s touch base on a few other areas just outside of Denver. Colorado Springs is an hour south, here you’ll find the highest point overlooking the Great Plains – Pike’s Peak, which has a summit of 14,114 feet! The mountain is amazing to see from it’s base near Manitou Springs, but the view is even better from the top! You can take the Cog Railway to get there. For more information on places to eat and things to do around Pike’s Peak, we recommend visiting the Pike’s Peak Attractions website. Another great location to see near Colorado Springs is the Garden of the Gods. A short drive north on Highway 36 out of Denver will take you to Boulder, Colorado, one of our favorite Colorado cities. Known as the city nestled between the mountains and reality, Boulder offers art shops and street performers along the Pearl Street Mall along with amazing restaurants and great shopping opportunities. And if you don’t take Banjo Billy’s Bus Tour, you’ll constantly be wondering what you’re missing by the third or fourth time you spot the recognizable school-bus-turned-hillbilly-shack rambling around town. More importantly, you’re bound to learn a lot more about Boulder on this unique tour that covers ghost stories, legend and lore while you sit on a saddle, recliner or couch and listen to the entertaining tour guide share fun facts and silly stories. If you’re more of an outdoorsy type, or a photographer, then we recommend checking out the nearby Rocky Mountain National Park and Estes Park, which we think is the nicest state park in Colorado. At either of these parks you can find big critters such as elk, mule deer, mountain sheep and yes, even bears! Rocky Mountain National Park has over 300 miles of hiking trails with mountain crests over 12,000 feet. Colorado is an outdoor lover’s dream, especially during the summer months like June, so you’ll be there during one of the best times of the year! Or, if you’re the sports type then you’ll find a lot to keep you busy in Denver! The Pepsi Center, or “the Can” as the Denverites call it, is home to 3 professional sports teams and hosts most large arena level concerts, too. Being the home of the Denver Nuggets, the Colorado Avalanche, and the Colorado Mammoths, it is hard to believe there is any time left for concerts. Our tours usually coincide with the NHL playoffs, so unless the Avalanche have had a great year, there might not be a lot of hockey games on-going in June. If they have made it to the playoffs and you get to attend a game, then well, we will envy you. 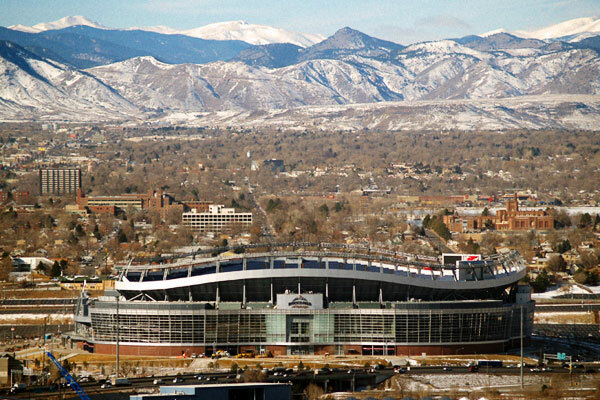 Mile High Stadium is home to the NFL’s Denver Broncos, but again, June is downtime for the NFL as well. Nonetheless, both the arena and the stadium are impressive and worth seeing! Baseball is usually in full swing during June and it’s relatively inexpensive to attend a Colorado Rockies game at Coors Field near the 16th Street Mall, especially if you get tickets to sit in the “Rock Pile” behind center field. We’ve attended games in the past for as little as $5 per ticket! Most of our tour guests however that either arrive a little early or stay a little later than the start and end dates of our storm chasing tours will likely only have a day or two extra during their stay in Colorado. If this includes you, and you’re looking for quick and easy it’s best to take a taxi to the 16th Street Mall. 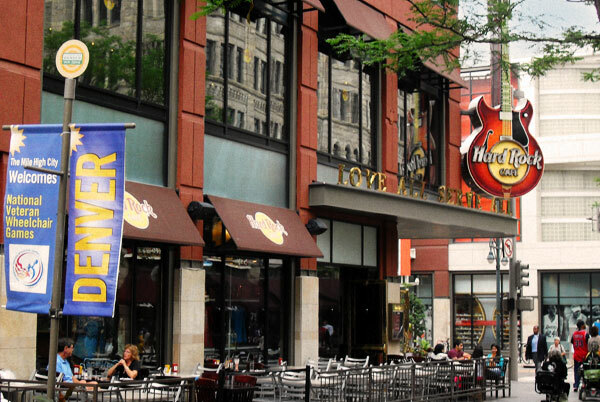 Here are our recommendations for both the mall and other great places around Denver. *16th street outdoor seating avail. * Tour Denver on a Scooter! * Tour Denver on a Bicycle! No Tolerance Policy: Please note that the State of Colorado passed a state law (not a federal law) that legalized marijuana in 2014. These laws do not exist in neighboring states such as Kansas and Oklahoma, and possession of marijuana or any paraphernalia related to the usage of marijuana can lead to actual prison sentences. What you do in your own time while staying in Colorado is your time and that’s your business, not ours. That said, we do not allow any marijuana or related paraphernalia in our tour vehicles. If caught, you will be immediately barred from further participation on the tour with no refunds and not allowed to come back. Depending on various state laws in neighboring states the penalties can be as severe as the entire tour group being immediately arrested even if only “residue” or a “seed” is found by law enforcement during any check stop or border check point.